Sister Nancy is known to the world as the first female dancehall DJ and was described as being a “dominating female voice for over two decades” on the dancehall scene. Nancy’s 1982 hit ‘Bam Bam’ is arguably the most sampled and remixed reggae track ever; Pitchfork named it as The Best Dancehall Song of All Time, and it has been sampled, referenced and reworked by almost everyone from Kanye West to Lauryn Hill to Wiz Khalifa. 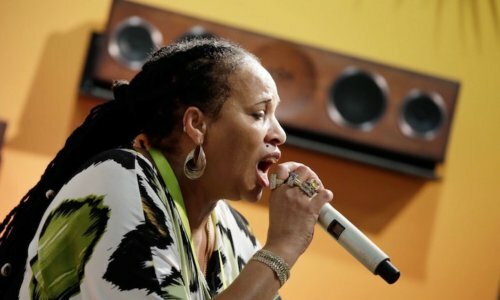 She’s been cited as a role model for successive generations of female Reggae acts including Lady Saw, Sister Carol, Mack Diamond, Lady G, Shelly Thunder, Carla Marshall, Lorna G, Lady English, and Lady P.